Do you want your students to be more involved in science and the other STEM disciplines? If your answer is “yes,” then you need to teach weather. “Why weather?” This is a question that educators ask us all of the time. We think the real question should be “Why not weather?” There are hfschoolundreds of reasons why meteorology is the perfect science discipline to get students involved. 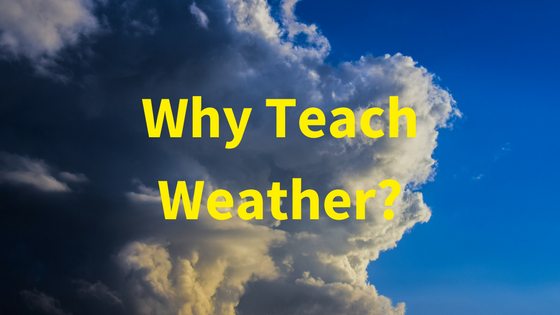 Keep reading to find out our top 3 reasons why you should teach weather and the benefits an education based in meteorology has for students of all ages, regardless of their career aspirations. 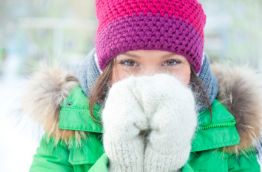 The first main reason why you should teach weather is that it is observable and measurable. In this age of mass misinformation, the scientific method is becoming more and more important. Teaching students what it truly takes to call a statement a fact is critical for educators in all subjects. When it comes to science, the weather is a perfect topic to instill this scientific method approach. Weather conditions are observable. Students can look outside and see a thunderstorm approaching. They understand the concept of a snow day as they shovel their driveways. 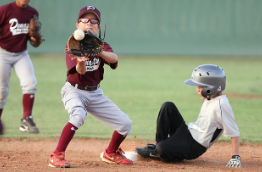 When they play sports outdoors, they can feel the extra pressure the heat puts on their bodies’ cooling systems. As educators, meteorology should be exciting because it allows you to connect these daily student observations to exact measurements. This is especially true if you have a school weather station. Wouldn’t it be great to show students lightning data from incoming thunderstorms or go over snow averages in your area over the past few years? Giving students access to this type of information has so many possibilities. Older students can make graphs and find weather trends. On the other hand, for younger students, this type of connection could open their minds to accept other science courses in the future. We’ve found teaching weather is a great way to engage all students and reinforce an investigative and hands-on learning approach. The second reason why you should incorporate meteorological information into your STEM curriculum is that it’s dramatic. 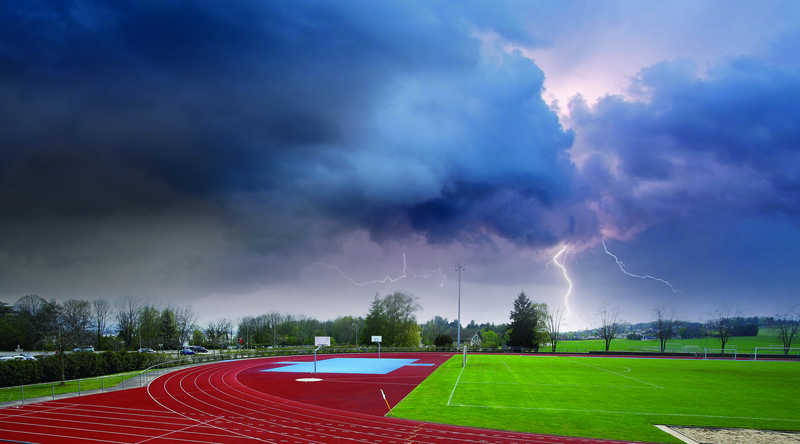 The potential dangers of weather events like hurricanes, tornadoes, and thunderstorms can be scary to students, but typically they pique interest. Most students, especially younger students, are fascinated by events like hurricanes and tornadoes. They’re curious as to why they happen, how they can hurt people, and how they can stay safe from them. For example, during the 2017 Atlantic hurricane season, a few schools that we work with added in science lessons about hurricanes due to student requests. Instead of just going over the news, our teachers developed lesson plans that compared hurricane seasons and even allowed to students to visualize these hurricanes as they passed through areas like Puerto Rico and Texas. A lot of teachers will also see an increase in weather-related interest when the seasons change or a large storm rolls through the area. Another good idea is to show a time-lapse video of a lightning strike or something else visually interesting to ease students into the science behind it. It’s important to capitalize on students’ interests and use the weather as a vehicle for teaching more complex science and math topics. The last important reason why you should teach weather in your classroom is that it connects all students. No matter how diverse your student body is, the weather affects them all. 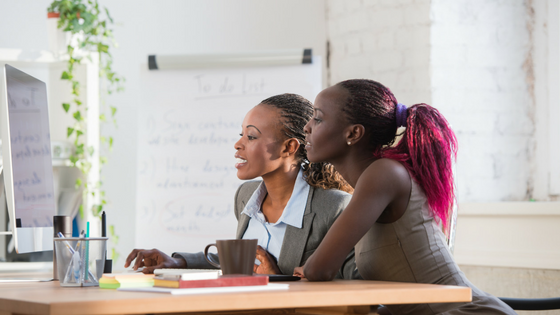 At times the world and even your classroom can seem divided, so it’s important to find positives factors that bring students together. Teaching the weather extends beyond the science classroom. For example, is especially important for English as a Second Language (ESL) students to learn about weather. This is something that they can talk about nearly every day and start incorporating other topics of conversation into as well. In time, they will most likely feel more comfortable asking other students about the weather and what they like to do on sunny days versus rainy days. This is just one of the many other non-STEM benefits for a classroom focus on weather. We know the top 1% of students interested in these topics are going to be successful. Take Bill Gates, for example. As a child, he was constantly tinkering with things like bikes. Then as a young man, he hacked into his high school scheduling program. From the beginning, he had the desire and motivation to be a hands-on STEM learner. Not every student is a Bill Gates. Not every student going to be the meteorologist on the morning news. However, introducing students to STEM-related concepts creates futures for students that never envisioned themselves in those roles. By teaching weather in a hands-on manner, most teachers can push students with less STEM interest towards the higher potential for STEM careers. That’s what teaching the weather is so critical. It creates a natural connection between real-world observations and advanced scientific and mathematical processes critical to STEM careers and the next generation’s biggest problem-solvers. If you’re not teaching weather already, be sure to look into weather-focused curriculums and adding a school weather station to campus. If you already teach weather, please let us know if you agree with these reasons why in the comments below and feel free to add any additional reasons as well.